The winner of your next barbecue competition needs their name engraved on the side of the Chef BBQ Cookoff Trophy - Perpetual! Made for years of use, the chef on this BBQ trophy shows off his grilling masterpiece above a walnut colored base. 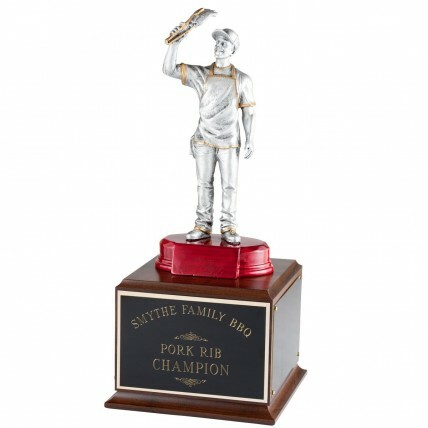 This BBQ cookoff trophy includes engraving on the front of the base for your grilling contest name and the optional three side plates for engraving of yearly winners. 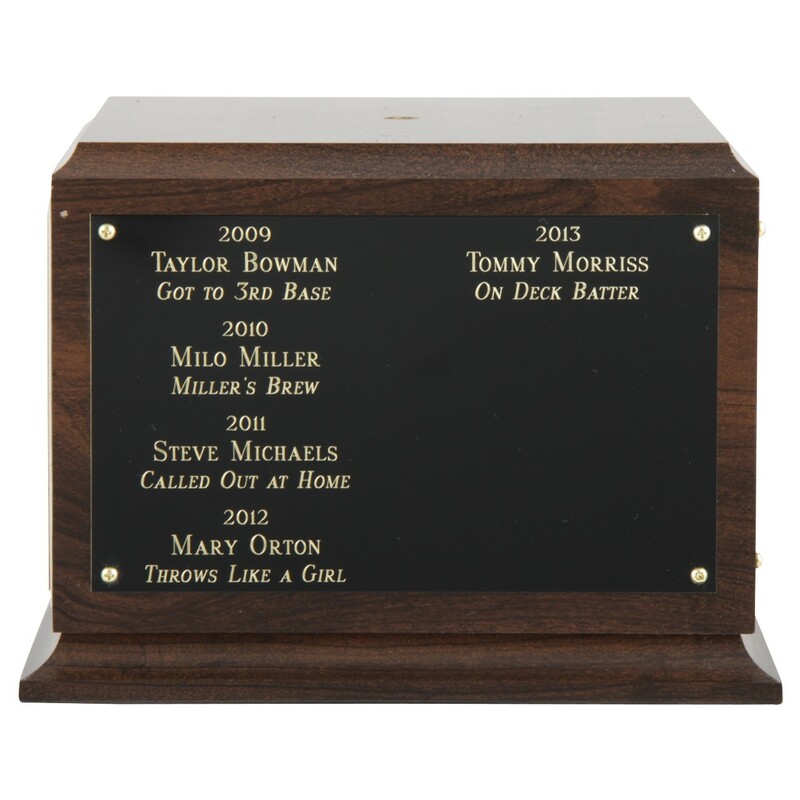 ***Note: To add winner's names onto the side of this BBQ cook off trophy, choose the "3 Side Plates" option below and then add product #7170 Fantasy Perpetual Engraving to your cart.